During the summer, Los Angeles offers some exciting opportunities that are great for friends and family to enjoy. 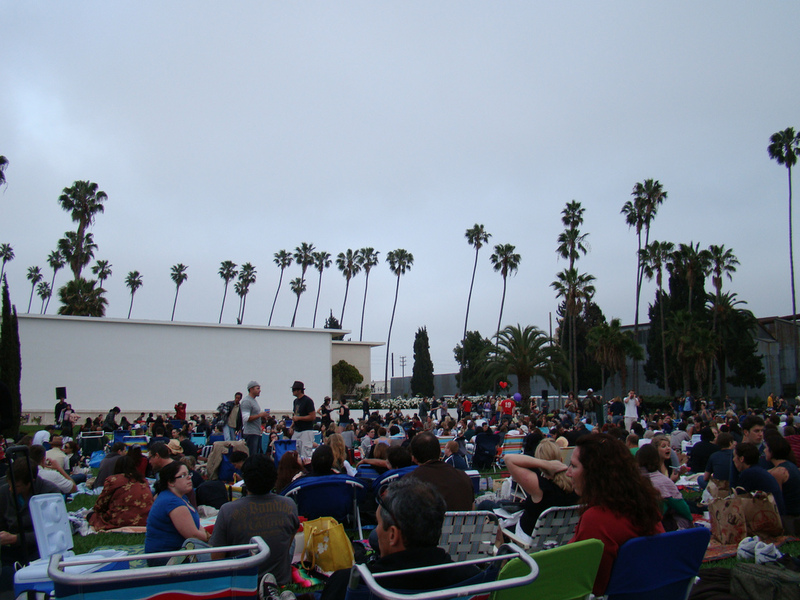 One such option that has been sweeping the city is outdoor movie screenings in Los Angeles. While nostalgia may call for a drive-in theater, these options provide large outdoor screenings like in the past but with a new twist! Cinespia offers outdoor screenings in downtown Los Angeles at the Hollywood Forever Cemetery. You heard that right. Have you ever wondered what it would be like to lay out a blanket, have a picnic, and watch a movie at the cemetery? Well, now you can find out! When you attend, feel free to bring blankets, pillows or low chairs that have seats that touch the ground and have low backs. Food, wine, and beer are allowed. Before the movie begins, enjoy live tunes spun by a DJ and again once the film is finished. On Saturday, July 30th, come and watch Sabrina starring Audrey Hepburn. On Saturday, August 6th, watch Speed and on Saturday, August 13th watch Heathers. For all of these screenings, gates open at 7:15 and the movie begins at 9 pm.